Resin Mini Shield Table Tennis Trophy. 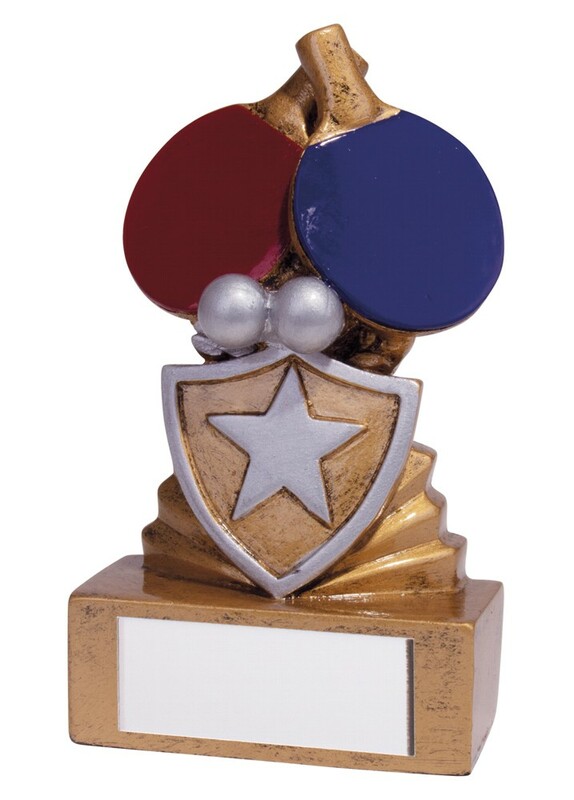 This great fun award measures 95mm high. Gold award with silver detail and blue and red table tennis bats.